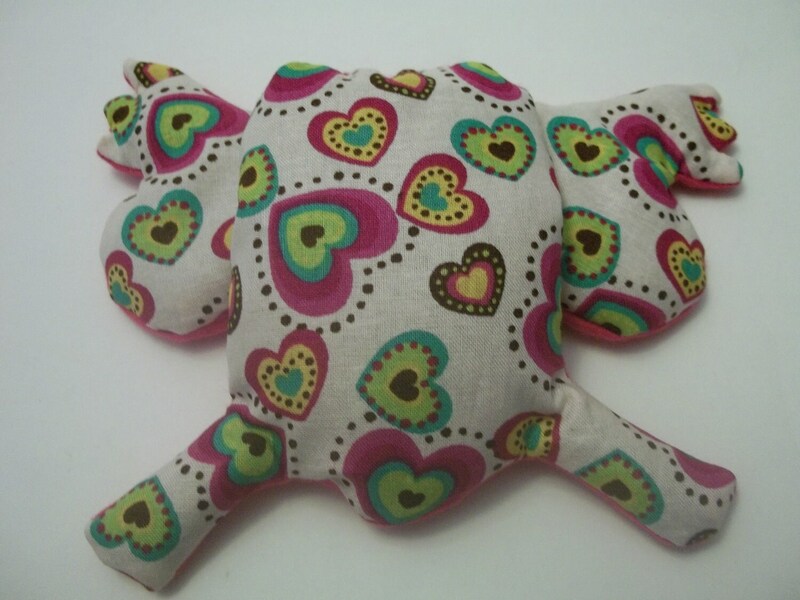 This Flax seed filled Froggy is made from cotton/ cotton blend printed fabric top and a soft flannel bottom.Use Hot or Cold for headaches, insomnia, boo boo's, even put in car as air freshener! Look for other colors! 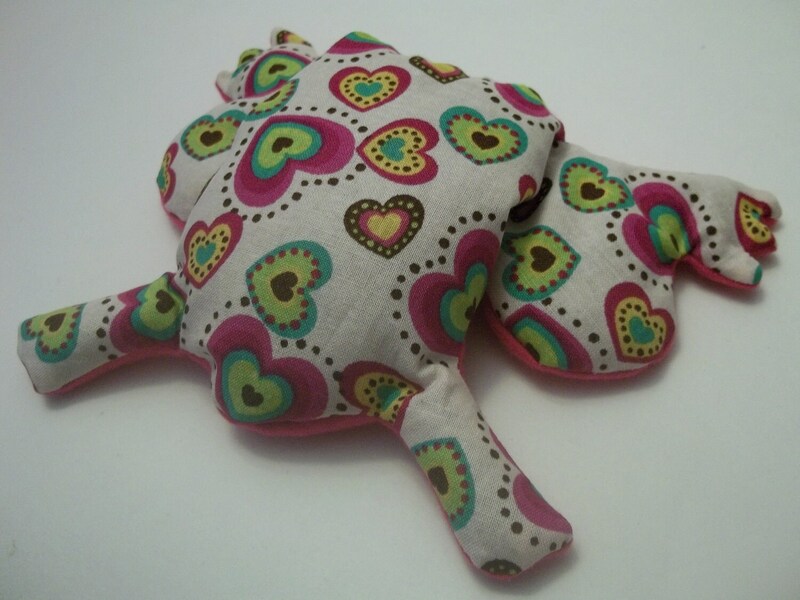 Froggy's are not toys. 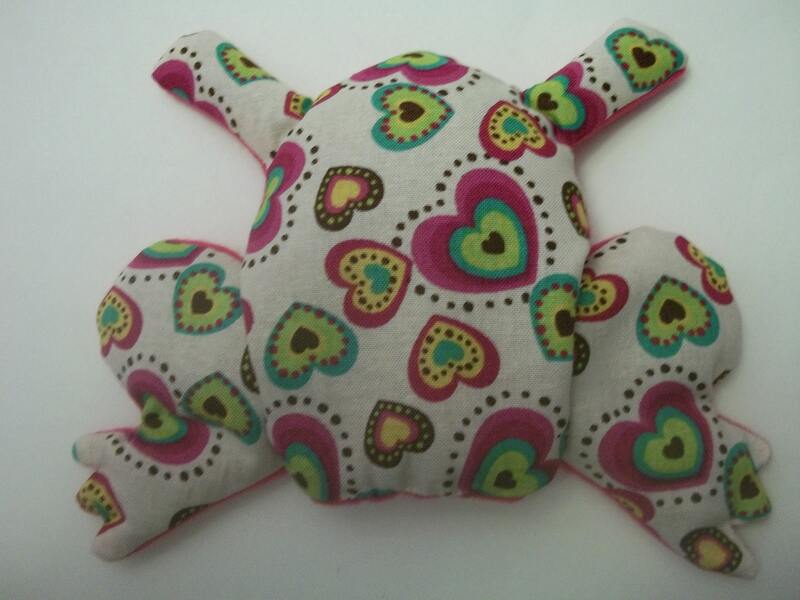 Each one is made for you, the printed patterns will vary from Froggy to Froggy.